September 1st is the day, when we start the new school year in Russia. This day is significant for both students and for adults whether they are parents or not. We all went to school and most of us still think of Sept 1st as the start “of a New Year”. Let’s have a look at school in the USSR time and now and also compare Soviet/Russian school to Western. The distinct feature of September 1st in Russia – lots of kids, carrying large bouquets of flowers to school. Custom is to give flowers to teachers. Since the typical class in secondary school is 25-30 people – in the end of the day you can see teachers, carrying huge bunches of flowers home. 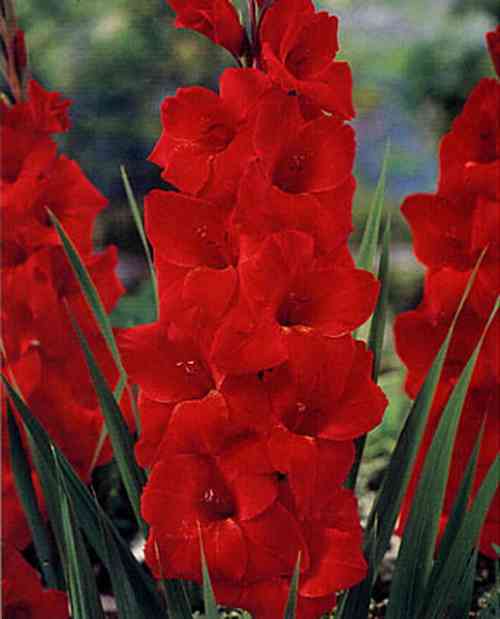 For some reason the most popular flowers for that day are red gladioluses (sword lilies). First school day (and by school I mean – secondary school since we do not call institutes and universities school) starts with gathering of all classes and teachers and parents in the school yard for an official welcoming ceremony. Than, the first graders (youngest kids) enter the school building, followed by older grades one by one. First day at school is emotional, exciting and stressful for the newcomers. It is called – the Day of Knowledge, a holiday, but it is far from holiday. In Soviet time kids started school at 7 years old and school lasted for 10 years, now they start at 6, so they go to school for 11 years. Attending school for 8 years was mandatory in Soviet time. If kids decided to end their school education after 8 years, they had to go to a professional technical college to get a blue-collar profession. If they decided to stay – they could apply to an institute or university after they complete 10 years of education (and study 5 more years to get an undergrad diploma). Class sessions always last 45 minutes. For the 1st grade – they typically have 3-4 classes a day, for the graduating class it could be up to 8 classes a day. Some subjes are taught throughout the entire duration of school (Russian, Math etc. ), some start from 4th or 5th or 6th grade (such as Chemistry or Physics or Biology) and are huge new milestones. Grading is done on 1 to 5 scale, where 5 is the best mark (“A”), but 1 technically does not exist (teacher may give 1 once in a while, but more to express her or his emotions. So, the equivalent of Fail is 2. Behavior and willingness to study was also graded. Final grades were given each quarter, based on the average of grades for that quarter. In the end of each year were exams. Even the graduating class had to sit through many exams first to get the certificate of matriculation and then go through a series of exams to apply to university. Now there is a movement towards one unified exam – similar to SAT, which is called EGE. It is not exact version of SAT though since there are still several exams – in Russian, Math etc, but it is a multiple choice exam. Many people are against it partially because it is far from perfect yet, partially because they are not used to such system. But at least kids do not have to take more exams when applying to undergrad. Since parents work until late in the evening, there always were after-school facilities to take care of kids. Kids either do homework or learn extracurriculars. In Soviet time that was free (sponsored by the state), now in most schools parents have to pay for that service. 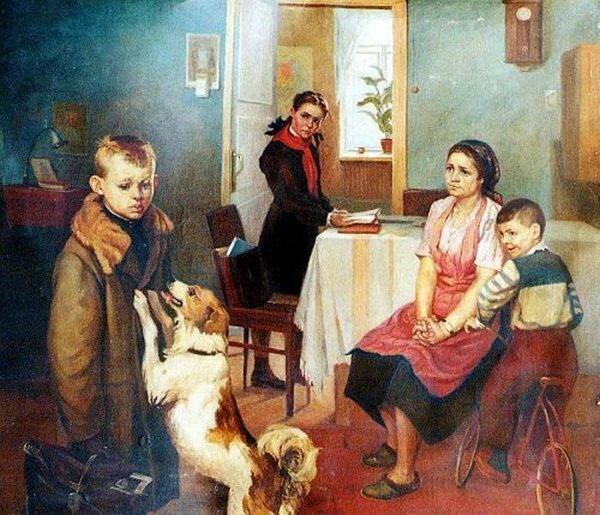 It was rather common though in Soviet time that kids (even 7 year olds) just went home on their own after school, opened the door with their own key, re-heated lunch and did homework or played with friends outdoors until parents come home from work. Russia still does not have laws, forbidding minors to be unattended, but now it is less safe on streets (both because of cars and because of people) , so most parents either keep their kids in school or ask nannies or grandmothers to collect them from school. 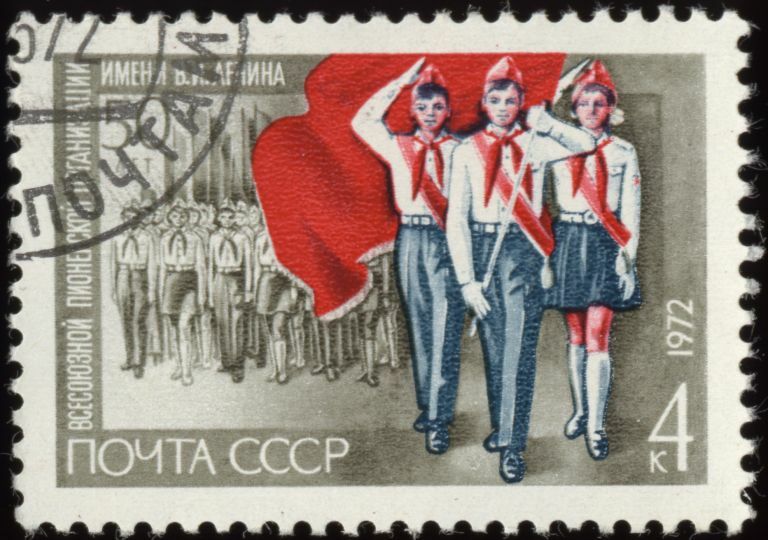 School in Soviet time was saturated with communist education – via the communities of October kids, pioneers and members of Komsomol. Some of the things from that time were not necessarily bad -such as summer camps and games. But overall school’s mission was viewed not only to teach, but also to shape values. During Perestroika (the 90s), there was no time for values, so school only taught the subject. Now, rumors are that politics will return to school which is sad. Values should be taught in a family. 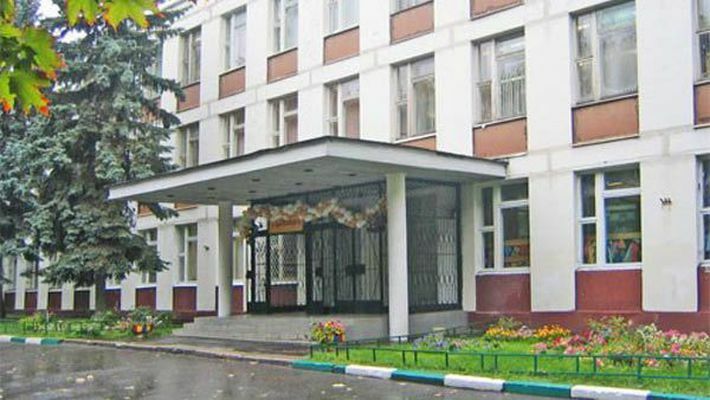 It is difficult for me to compare Russian and Western secondary education. I have some brief experience of studying in a Swiss college, but it was not long enough to make proper comparisons. Probably the only thing that I would like to mention is that Soviet schools always had mandatory school uniform. Of course we hated it! For small kids uniform was a brown wool dress and either white or black apron (white for important days, black for regular days) for girls and grey-blue pants and jacket for guys. Dress made of wool was uncomfortable, plus we had to change collar and cuffs pieces by stitching them to the dress. When we got older, both boys and girls had blu uniform suits – with pants for boys, with skirts for girls. But I can compare Russian and Western education at the University. I wrote about it in an another post about students. The main difference is in the style of teaching (Russian style is more dry, American is more entertaining) and in the distribution of the work load. In Russia you are supposed to be responsible during the semester and be prepared well for exams, which sometimes could count 100% of your grade. In the US, exam scores are only part of your grade, and you are forced to study hard during the quarter, which is facilitated via multiple homeworks and class participation. In my opinion the American system is more efficient. In the Soviet time, all kids in the country went through the same education in school. 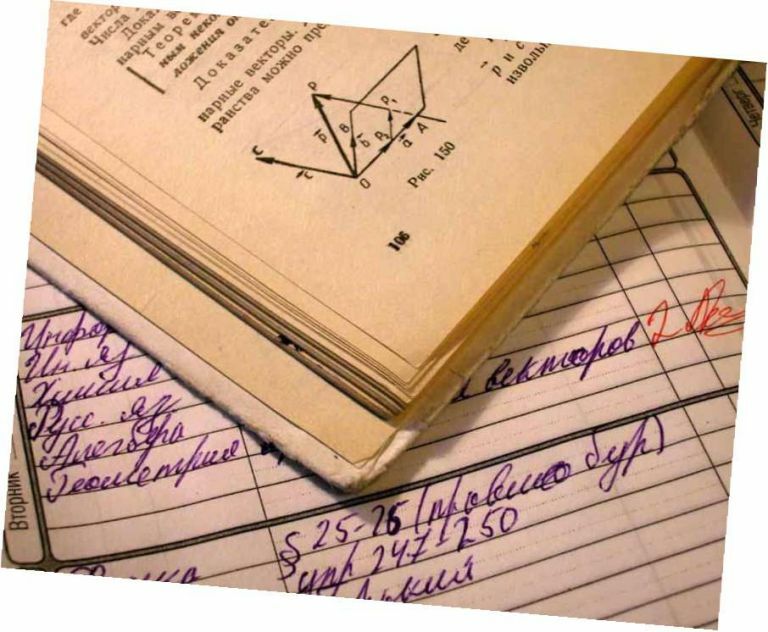 Curriculums, textbooks, teaching approach were identical in Moscow and Vladivostok. Hundreds of thousands of classrooms had the same topics written on the blackboard with chalk on any given day. Curriculum might have been different only in schools, which specialized in some subjects – foreign languages or math or science or sport. In modern Russia people are free to send their children to a private school, which uses experimental methods of teaching. Some of those schools are fantastic, but some emphasize creativity more than learning the basics. I recently met with a long-time friend. We went to University together, but unfortunately do not see each other as often as we both want to. He has 3 kids, so he and his wife are very busy. Last time I visited them; their oldest son was about to start school. They were ecstatic that he was accepted into a very famous experimental school in the center of Moscow. That school was so picky; it did not accept kids from households, which had TV sets. And of course, kids had to go through an admission interview. I asked how they enjoy that school. And do they plan to send their daughter to the same school this year? The story I heard made me think that standardized education might be not such a bad idea. At first things seemed to go well. Kids were doing a lot of handcrafting, semi-theatrical performances, playing and seemed happy. It was a lot of work for the parents since homework was usually both creative and demanding. Sometimes parents even had to take their part in school theatrical performances and multiple other activities. My friend, a really tall and bearded guy got to play a part of a little hare. But there is nothing you would not do for your kid, right? Teachers at that school are evangelists of the experimental methods. They did not believe in textbooks, they used their own teaching materials and approaches. But the first real red flag appeared when my friend’s son was sick, so the father came to school to collect the homework assignments. Being a professional mathematician himself, he was excited when teacher offered to give him math homework for his son. Finally, he could help his kid learn a subject that he knows so well! However, he soon fond out that his profound learning in math is seriously outdated. Instead of expected sheets of paper full of numbers, teacher gave him something that vaguely reminded clocks made of paper, drawn with color pencils (only natural pigments used in school). He got puzzled and asked: “So this is the math homework?”. Teacher replied: “Yes, your son will understand what to do with these items”. And surprisingly he really did!!! Long story short. When my friend started to evaluate his son’s knowledge of math (and also other subjects, which were supposed to be taught in the first grade) – he understood that the situation is pathetic. His son does not know how to write, solve basic equations etc. School did warn parents upfront though about that. And I am not saying that this school is bad – if you understand the upside and are willing to put in more hours at home to correct the downside – it might be a great place for your kids. But if you have a busy schedule, having several kids and work and other family matters to attend to – classic school may be a better choice for your family. My friends were lucky to find a place for their son in an “ordinary” school for the next year. But he was accepted only under promise that they will teach him the entire curriculum of the first grade during summer. And he still has issues with math. Experimental schools exist in both Moscow and NYC and Lyon and Dusseldorf. Some of them can provide your kids with amazing experiences. But you have to be informed – what is it you are signing for and whether you will be able to manage that. Great thing about writing a blog is to provide one. School is stressful for kids, it lasts for 10-11 years. Sure kids enjoy non-standard programs more, but parents are responsible to keep an eye on the teaching process. However re-living school days via my friends kids is very enjoyable for me! And I wish all first graders to have fun and learn a lot in these 10 years! And how was your school experience – in your country? Did you love or hate school? Why? Share with us! This was very insightful! Thank you for your article. I hated it! I am from the US and my family moved a lot! There were such extreme differences between school didtricts that I had a very poor math and science background.